I can't believe we are almost at the end of 2017. It feels as though the year has gone so quickly, but yet looking back to January it feels a life time ago. Isn't it funny how it often feels that way. A sign of getting older me thinks. * Explore a new city. Starting this month off in America is an added bonus and should all go to plan I shall be travelling to Chicago today. It's a city I have always wanted to visit so I'm just a tad excited. I'd really like to try and get some more of these photo books and one detailing my most recent trip would be a great memento of my time spent with Brook. * Go to see a firework display. I am the biggest kid when it comes to fireworks, I love them and literally find myself mesmerised by all the pretty colours falling from the sky. I'd love to get organised this year with my Christmas shopping, there is nothing worse than that mad rush at the end of December trying to find things to buy for people, I want to avoid that this year. * Begin reading my first Christmas book of the year. The past few months has seen me increase the amount I have been reading. From one book every few months to one book every 2 weeks, I'm more than impressed with myself so hopefully I should get in at least a couple of Christmas reads this year. 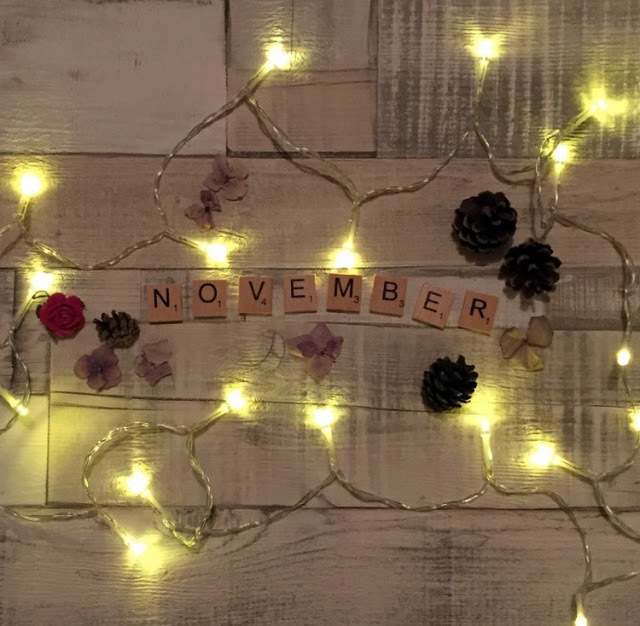 November for me is all about the build up to December which of course brings us Christmas, a time of year I am always excited for just in case you hadn't gathered this already. Seeing the start of Christmas events, I want to make the most of them all this year and really enjoy it to the full. I'm basically just going to try and cram in as much as I can to the last remaining months of 2017. It's looking like a busy month. Let's make the rest of 2017 amazing.